Get a great deal on the K-Rain 6404-RCW Indexing Valve (4 Outlet, 4 Zone) at PlumbersStock. It comes from the 6000 Series by K-Rain, and it's intended for reclaimed water use. It's a water flow operated valve, which acts as a manifold in your watering system. The 6000 line of indexing valves offers exceptional reliability and durability even under the dirtiest water conditions. With a metal die-cast body, the 6000 valves are capable of high pressure applications and are recommended to be used on pump-fed systems or high flow city water systems. 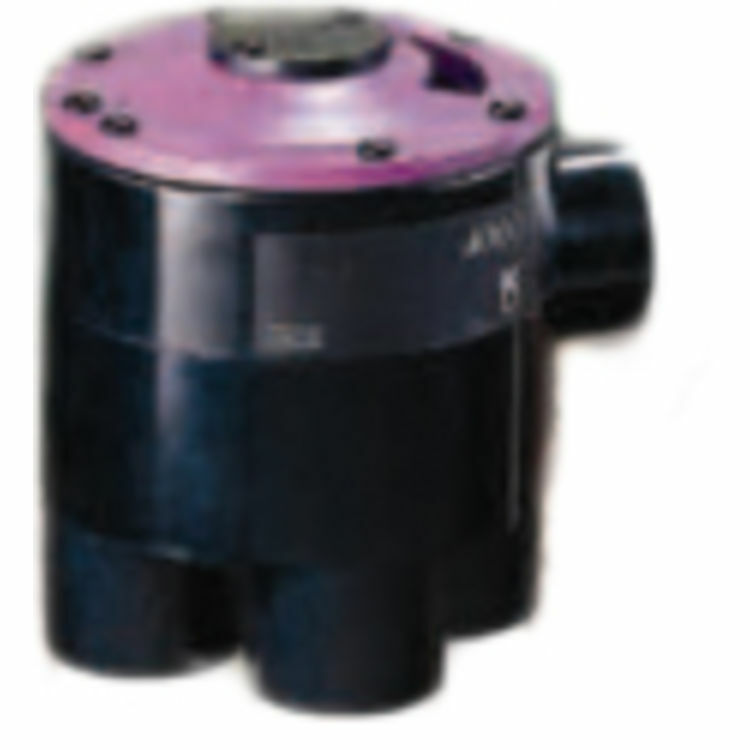 The 6000 valve is available in 4 or 6 outlet models that are cammed for 2 to 6 zone operation. With only one moving part (the stem and disk assembly), the valve is easily serviced and maintained. Can quickly and easily change from two to Four watering zones. Built-In Atmospheric Vacuum Breaker-Releases any vacuum created between the pump and the valve on shut-down. High Impact ABS Polymer Construction-High Strength, non corrosive body for long product life. Metal Die-Cast Body-Durable, long lasting, and capable of high pressure applications. 6 Fully Independent Programs-Allowing up to-starts per program. Maximum 36 starts per day. Operates at Low 10GPM and Pressures of 25-75 PSI-Reliably automates multiple zoned residential and small commercial irrigation or wastewater systems. Simplicity of Design-Valves are easily maintained and serviced for long product life.